In dinosaur terms, the ceratopsians were fairly recent. Lately some new discoveries have changed the way we look at them forever. But first I must bust an annoying myth which is going round the net. What on earth is this! Some are saying it is just a baby torosaurus. This is silly. Firstly, like many ceratopsians, triceratops had small spikes on his frill. 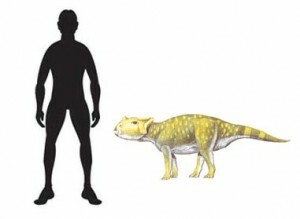 Unlike many ceratopsians, he had a solid frill. Torosaurus hade no spikes and holes in his frill. Also, triceratops was bigger than torosaurus. An unlikely baby! If it was a baby to one dino it would have to be eotriceratops. Eotriceratops was really just like a huge triceratops. He was so huge the large therapod that lived with him (albertosaurus) was smaller than him! His head was so big that he could scoop up an albertosaurus and toss it away. He was 13 tonnes which is heavier than an average diplodocus. It was the ultimate power house of dinosaurs.